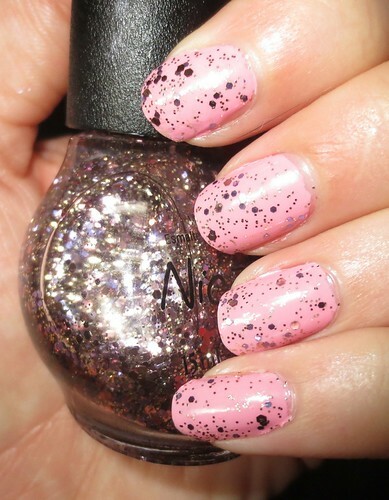 Beyond Blush: Win 7 Glitter Polishes from Nicole by OPI's Selena Gomez Collection! Win 7 Glitter Polishes from Nicole by OPI's Selena Gomez Collection! Today I have a really exciting giveaway to share with you! Nicole by OPI has graciously offered one of my Canadian readers the chance to win 7 glitter polishes from their Selena Gomez Collection! These glitters are absolutely gorgeous, and I'm sure that you'll have lots of fun trying out different layering combinations :) You can enter on the Rafflecopter widget below, good luck! I would split these gorgeous polishes between myself and a friend...she would love them too!! Thanks for the giveaway and Happy Holidays! !